Home / Health / News / Tips / This Is The Truth Behind ‘Bangungot’ Or Sleep Paralysis According To Scientists! This Is The Truth Behind ‘Bangungot’ Or Sleep Paralysis According To Scientists! Filipinos know sleep paralysis as ‘bangungot.’ It is a state of being conscious while your body is resting and is unable to move. WebMD says that such phenomenon occurs when an individual crosses in between the stages of wakefulness and sleep. People who suffer from sleep paralysis testify that it is really a frightening feeling, describing that you’re ‘stuck’ and unable to do anything with your body. 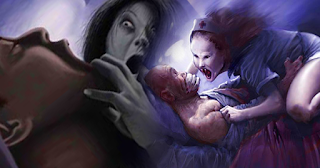 History shows different cultures that have records of sleep paralysis incidents. There are superstitious people who claim that such incidents are triggered by demonic forces to torment a person in his sleep. Hypnagogic takes place right before a person falls to sleep. On the other hand, hypnopompic occurs the moment a person wakes up. Once an individual quickly falls to sleep, the body gets relaxed and the mind goes into ease, losing consciousness. Sleep paralysis during the hypnagogic stage allows the mind to remain aware while in an uncontrolled relaxation state. Because of this, the person wakes to realize he’s aware and yet completely shut down. Another explanation is that during rapid eye movement (REM) or deep sleep, the muscles remain paralyzed. During the hypnopompic state, sleep paralysis takes place once the mind starts to wake up but the body continues to rest. Some researchers from Penn State University discovered that around 8 percent of the population have experienced sleep paralysis. -Certain medications, like the ones that treat ADHD. There is still no known and reliable prescribed treatment for sleep paralysis, but people go to specialists to ask for help. -Treatment of any underlying sleep disorders. -Recommend to a mental health specialist. -Application of a sleeping schedule. Many doctors share the same insight that if people maintain a proper and healthy sleeping schedule, they can prevent or avoid sleep paralysis. Furthermore, they also advise that these people should minimize or entirely eliminate the intake of caffeine, nicotine, alcohol/drugs, before sleeping. Also, experts believe that it’s safer to keep electronic devices away while sleeping. Sleep paralysis remains a common occurrence. Experts remind people to not worry too much as there’s nothing dangerous about it. Have you experienced this? Tell us about it below!